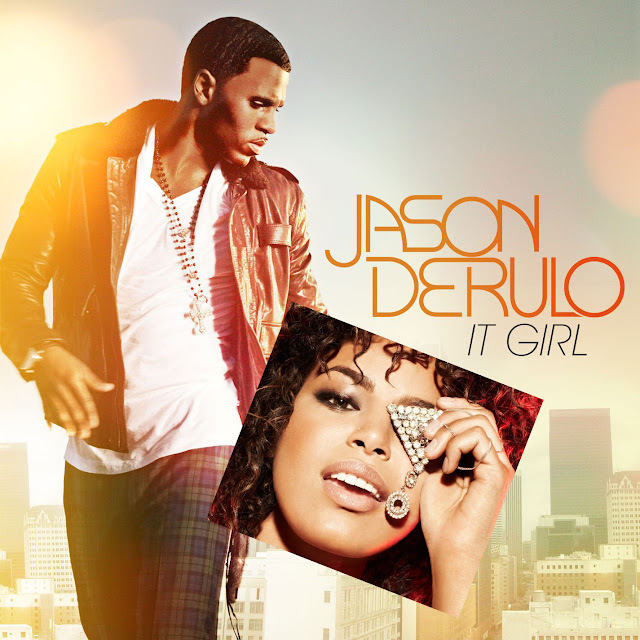 American recording artist Jason Derülo unveiled a brand new remix of his single "It Girl," featuring his girlfriend, American Idol winner Jordin Sparks. Not showcasing anything drastically different from the original, the "It Girl" remix features Sparks singing some verses as well as portions of the chorus and is accompanied by a super cute video featuring behind the scenes footage of Sparks and Derülo together in the studio, at home and in concert. All in all, very cutesy and sweet. The couple truly looks very happy together. Derülo originally released "It Girl" last August, where it went on to achieve international chart success including a Top 20 run on Billboard's Hot 100 chart. Written by Derülo, Emanuel Kiriakou, E. Kidd Bogart and Lindy Robbins, the song was promoted with live performances on America's Got Talent and The Wendy Williams Show as well as with a music video directed by Colin Tilley (Mary J. Blige, Keri Hilson, Katy B). "It Girl" was the second single released off of Derülo's sophomore release, Future History, a follow up to "Don't Wanna Go Home" and preceding subsequent singles "Breathing" and "Fight For You."